Professional grade semi-sized silk give you the chance to create beautiful artworks on this unique surface. Enjoy the water marks effects which are naturally created while you put large or small amount of watercolor or sumi ink on the silk. Silk had long been used before paper was invented. It comes with three different colors, esp. the Tan color gives you the look of ancient beauty. You are right. The price is unbelievably low at our store with no compromise on the quality. 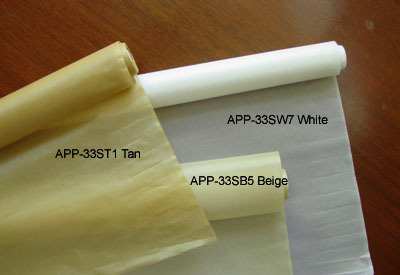 As a matter of fact, you will have the best, professional quality of silk for painting. ACS-90C12 Marie Sumi Watercolors-12 Color Set- 12 ml.